Another special Clone X release. 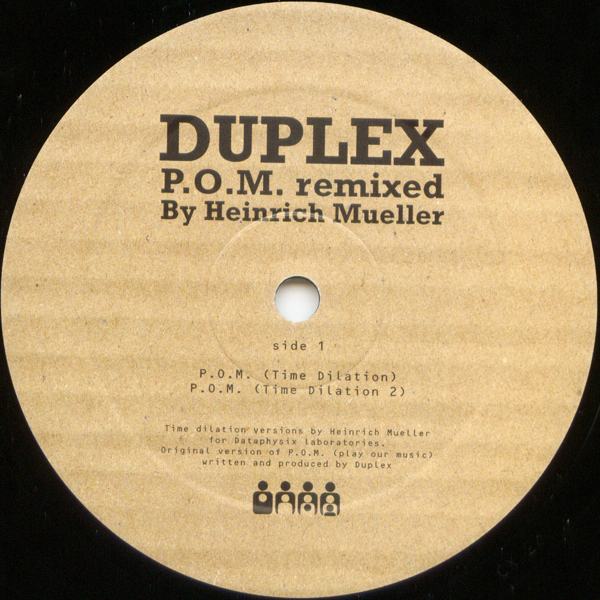 This time featuring two remixes from Mr Mueller – better known for his many musical projects including Dopplereffekt, Der Zyklus, Arpanet, Japanese Telecom and some say he may be one half of one of the greatest electro bands ever – Drexciya. “Autosug” and “Play our Music” (P.O.M.) are changed from beautiful up-tempo techno tracks into deep and advanced electro fissures. As a bonus there is a remix of a remix so to speak by Duplex to complete the circle. Duplex turned one of the two P.O.M. remixes into a classic Direct Beat influenced electro track... a steady piece of music which shakes like where it should. This is really necessary – buy!